Despite demonstrably questionable ethics and clear indications of total disrespect for the rule of law, Scott Ourth managed to win a seat in the Iowa House, defeating one of Warren County's leading conservative and tea party favorites, Steve McCoy – by a very thin margin of just 687 votes (out of 16,181 cast). 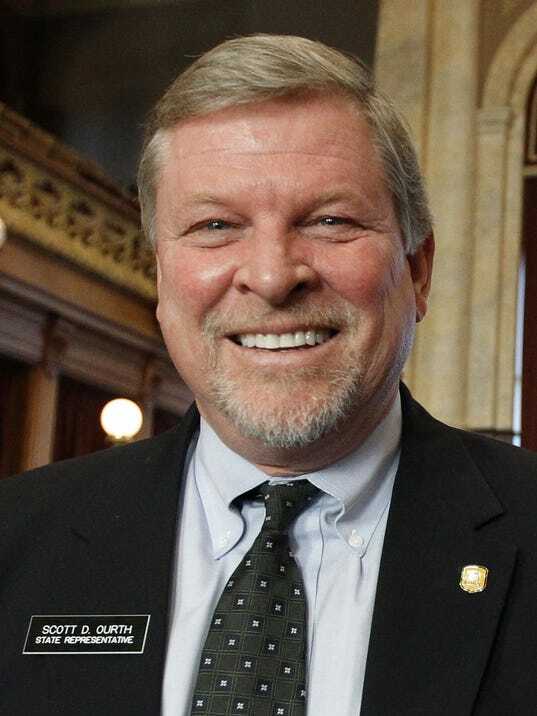 With that unfortunate win, this website will now be repurposed to EXPOSE any possible future wrongdoing by Mr. Ourth and to shine a light on his voting record, showing the people of Iowa, just where he intends to lead us in the future. Open membership to this site has been canceled, however you may contact me directly by clicking Contact Admin with any useful information which you feel should be on display, regarding Representative Ourth. Arrangements can be made to grant special access, for those contributors who wish to regularly post content on this now closed site. Contact me for all the details. This invitation even extends to Scott Ourth himself, whom I also invite to become a regular contributor to this website. If Scott works toward the interests of we the people of District 26, then I am more than happy to share this news – but if he works against our interests, similar to the performance of Iowa Senator Staci Appel for example, then he certainly should explain himself, directly on this site. Lack of any comment on his part, should speak volumes! I should also note that Representative Ourth is well aware of this website, for if he claims not to be, that too should speak volumes. We the People of Iowa House District 26 have the unique opportunity to read, learn and to share what we know, right here on this public truth site. Who exactly is Scott Ourth and what are his values? What will he do for (or possibly to) the people of Warren County and the people of Iowa, now that he has been elected to the Iowa House? Check out our Member Forum!